I first discovered value-based packages several years ago while on the hunt for a better way to do my client billing. 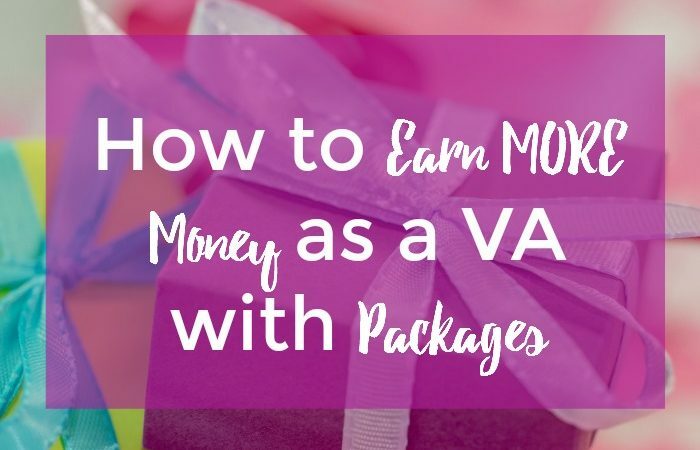 While researching the best way to get paid, I was thrilled to find a free master class on how to create packages. I signed up straight away. It’s easy to tell when I’m really excited by an idea when I clear my schedule to attend a webinar live. And, that’s just what I did. Showed up, pen and notebook at the ready and scribbled like crazy. Though I didn’t actually sign up for her class that first time around, I kept thinking of it over the next year. I’ve put off buying other courses before and with only a few exceptions, I usually forget about it and move on. However, the next time Lisa’s course finally opened for enrollment again, I jumped in, and I’m so glad I did. So, what are value-based packages and why should you use them? As you know, traditional employees get paid for 40 hours per week regardless of what they accomplish. But as a freelancer and solopreneur, you do not. You get paid only for the time you spend on a specific service. So, the faster and more competent you get, the less you get paid. With packages, you work with your client to create a list of services you’ll provide each month and charge a flat rate. This system allows you to work as fast and efficiently as possible without being penalized. It also allows the client to have a predictable budget and list of deliverables for each month. Win win! The best way to lift the limits on your earning potential is to create strategic, beneficial packages your clients will love. Lisa’s course lays out a clear plan to move from traditional hourly rates to packages and had some great suggestions on moving your existing clients to the new system. I was able to use her advice to transition clients and to get brand new clients. Her course was a key strategy in transforming my business, gaining both confidence and higher end clients. I am so happy I transitioned into a mostly package based business. However, I find that not all clients are suited to this system. In fact, my business has a mix of hourly and value-based clients. This is what works for me, but you’ll have to figure out what works best for you. Also, be prepared to get stuff done in this class! In my experience, this isn’t going to work (like most things) unless you do and there is a lot to implement up front, though it ends up being easier down the line. Great clients trust the value of their virtual assistants’ services and don’t have to police how long a task is taking you. AND this course will help you break out of the self-imposed salary cap. Top VAs create packages that do not depend on an hourly rate. You can still sign up to receive her 7-Step Formula to Setting Your Rates and Getting Away From ‘Dollars for Hours’ on demand training right here. Thanks for the class recommendation! I feel that packages are a great way to earn as a VA. I like to get more business (aka money) from each client…it’s usually easier than trying to find new clients! My pleasure. And, I definitely hear that! I started off with offering packages and am so glad I did! As I get better with tasks they take less time and it is like a raise. I will have to check out this class, I feel like I always have stuff to learn. I think it’s so great you had that in place from the start. It really is the way to go for most situations and most clients seem to love it as well. I totally hear you on feeling like there’s always more stuff to learn! Lisa’s class is awesome. Even just doing her free masterclass is worth your time. It’s 90 minutes and, of course, she dedicates some of that to selling her class, but there’s a ton of actual free training on the packages.